We have been providing professional bridge engineering services since 1967. Our design team has successfully completed over three hundred Massachusetts bridge and highway projects. Bayside is prequalified by the Massachusetts Department of Transportation (MassDOT) for bridge engineering services including Basic Bridge Design, Intermediate Bridge Design. We are also prequalified by MassDOT for Basic Roadway Design, Intermediate Roadway Design and Traffic Operations allowing Bayside to complete all aspects of any bridge project. We have been performing these bridge engineering services successfully for the Commonwealth of Massachusetts and many other municipalities, State and Federal agencies on a continuing basis for the past forty years. Recent failures of major structures have prompted growing public concern about bridge safety, and Bayside is being called upon to play an increasingly active role in the rehabilitation of the Commonwealth’s bridge and culvert structures. The Federal government estimates that more than half of the nation’s 264,000 state and interstate bridges and its 302,000 city, town and county bridges are structurally deficient or functionally obsolete. As Massachusetts seeks to rectify this critical situation, Bayside, with its broad experience in bridge design and rehabilitation, will certainly be an asset. Bayside has a history of involvement in solutions to this widespread problem. Since 1975, the firm has been performing bridge inspections and rating bridges of all types as part of the Massachusetts Bridge Rating Program for the MassDOT. To date, we have reported on over 3,000 structures. Many reports with repair recommendations have resulted in subsequent rehabilitation or replacement design contracts. 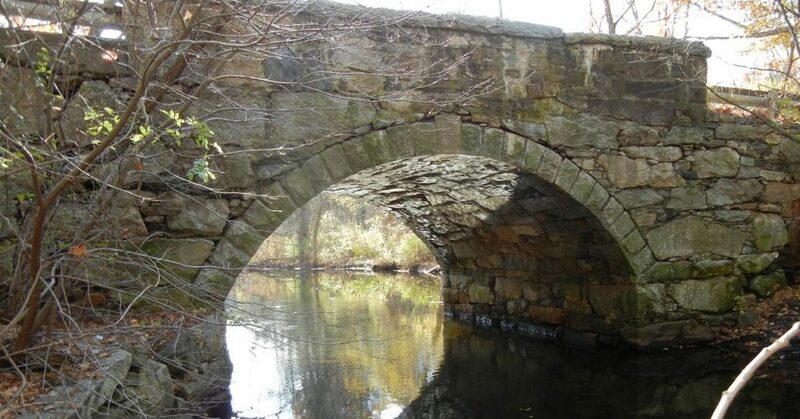 Local Massachusetts’s cities and towns are currently being called upon to maintain and safeguard the many bridge and culvert structures located within their communities. State and Federal governments have transferred responsibility directly to the municipality to contract for professional bridge engineering services. Bayside has been providing these services successfully, efficiently and economically to numerous municipalities throughout Massachusetts. Our professional qualifications and experience demonstrate a long history of successful bridge projects in the Commonwealth of Massachusetts. Bayside completed the bridge engineering design for a three span continuous, horizontally curved bridge in Templeton, MA. We also completed the bridge design for the rehabilitation of Route 2 from Harvard to Acton, Massachusetts. This project involved the rehabilitation of eleven bridges and improvements to 9.5 miles of highway. We have performed bridge engineering design for the MassDOT, City of Boston, MBTA, other local municipals and private clients. Other types of bridge structures Bayside has designed include single and multi-span truss, single and multi-span pre-stress concrete superstructure, steel plate girders, steel plate curve girders, steel stringer bridge, design of highway bridges in MA, and historic rehabilitations to name a few. Our continual involvement with professional organizations and educational institutions has kept us abreast of the latest techniques and materials available to provide our clients with the most cost-effective and durable designs. Particularly qualified in bridge rehabilitation, our knowledge of salvaging techniques significantly reduces both construction time and costs without sacrificing safety. Whatever the project, Bayside offers the qualifications, experience, professional staff and the in-house resources needed to solve almost any individual bridge problem. Bayside also specializes in seismic retrofits to meet current design standards. Through many years of experience we have provided cities and towns with a service that has enabled us to construct a project approach that is both efficient and productive when dealing with bridge design engineering services, bridge construction engineering, and related roadway services.